Although social networking sites (SNS) are increasingly popular among students, their academic application is unfolding on trial basis and best practices for integration into mainstream teaching are yet to be fully realised. More importantly, is the need to understand how these sites shape academic relations and participation of heterogeneous students, particularly in resource-constrained African environments. The speculation about meaningful educational uses of SNS possibly rests on the complexity of grasping the multiple horizontal and vertical interactions that unfold via these sites. This study examines academic relations on Facebook with a view to generating a nuanced account of how power is reinforced or disrupted in interactions mediated by Facebook. The paper analyses the Facebook wall and forum postings of 165 first year Information Systems students and employs Anderson’s model of six types of interactions to explore student experiences of the enactments of social power in Facebook engagements. Issues relating to power that emerged from Facebook interactions concerned asymmetrical engagements based on gender, breaching of hierarchical boundaries, compulsive academic use of Facebook, perceptions of vertical surveillance, lecturer and student projection of themselves and impression management. The paper recommends that learning with and from Facebook demands identification of leverage points in various stages of Facebook interaction. Rambe, P. & Ng'ambi, D. (2014). Learning with and from Facebook: Uncovering power asymmetries in educational interactions. Australasian Journal of Educational Technology, 30 (3),. Australasian Society for Computers in Learning in Tertiary Education. Retrieved April 26, 2019 from https://www.learntechlib.org/p/148481/. Anderson, T. (2004). Towards a theory of online learning. Edmonton: Athabasca University Press. Arnold, N. & Paulus, T. (2010). Using a social networking site for experiential learning: Appropriating, lurking, modelling and community building. Internet and Higher Education, 13, 188–196. Baxter-Magolda, M. (1992). Knowing and reasoning in college: Gender-related patterns in students’ intellectual development. San Francisco: Jossey-Bass. Carstensen, T. (2009). Gender trouble in Web 2.0: Gender relations in social network sites, Wikis and Weblogs. International Journal of Gender, Science and Technology, 1(1), 106-127. Clegg. S. (1989). Frameworks of power. London: Sage publications. Dixon, E. (2012). Building a model for online distance courses through social media and networks. International Journal of Virtual and Personal Learning Environments, 3(3), 81-94. Giorgi, A. (1997). The theory, practice, and evaluation of the phenomenological method as a qualitativeresearch procedure. Journal of Phenomenological Psychology,28(2), 235–260. Glaser, B.G., & Strauss, A.L. (1967). The discovery of grounded theory: Strategies for qualitative research. New York: Aldine De Gruyter. Hodgkinson-Williams, C. & Ng’ambi, D. (2009). Case study 5: Mobile learning: Report of the Opening Scholarship Project. Cape Town: Centre of Educational Technology, University of Cape Town. Hoy, M. & Milne, G. (2010). Gender differences in privacy-Related measures for young adult Facebook users. Journal of Interactive Advertising, 10 (2), 28-­‐45. Ivala, E. & Gachago, D. (2012). Social media for enhancing student engagement: The use of Facebook and blogs at a University of Technology. South African Journal of Higher Education, 26(1), 152–167. Maranto, G. & Barton, M. (2010). Paradox and promise: MySpace, Facebook, and the sociopolitics of social networking in the writing classroom. Computers and Composition, 27, 36–47. Moore, M. (1997). Theory of transactional distance. In D. Keegan (Ed), Theoretical Principles of Distance Education (pp. 22-38). New York: Routledge. Rambe, P. (2011). Exploring the impacts of social networking sites on academic relations in the university. Journal of Information Technology Education, 10, 271-293. Rambe, P. (2012). Social media-enhanced phones for productive learning of South African postgraduate students. International Journal of Mobile and Blended Learning, 4(2), 49-66. Rambe, P. & Ng’ambi, D. (2011). Towards an information sharing pedagogy: A case of using Facebook in a large first year class. 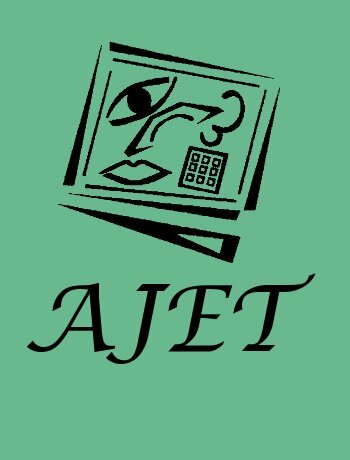 Informing Science:The International Journal of an Emerging Transdiscipline,14, 61-89. Schurink, W., Fouchè, C. & De Vos, A. (2011). Qualitative data analysis and interpretation. In A. De Vos, H. Strydom, C. Fouchè & C. Deport. (Eds. ), Research at Grassroots: For the social sciences and human services professions (pp. 397-423). Pretoria: Van Schaik Publishers. Selwyn, N & Grant, L. (2009). Researching the realities of social software use– an introduction. Learning, Media and Technology, 34(2), 79-86. Vedantham, A. (2011). Making YouTube and Facebook videos: Gender differences in online video creation among first-year undergraduate students attending a highly selective research university (Doctoral dissertation). University of Pennsylvania Graduate School of Education. Veletsianos, G. (2012). Higher education scholars’ participation and practices on Twitter. Journal of Computer Assisted Learning, 28, 336–349. Veletsianos, G., & Kimmons, R. (2012). Scholars and faculty members' lived experiences in online social networks, Internet and Higher Education,16, 43-50. Veletsianos, G. (2013). Open practices and identity: Evidence from researchers andeducators’ social media participation. British Journal of Educational Technology, 44(4), 639–651.